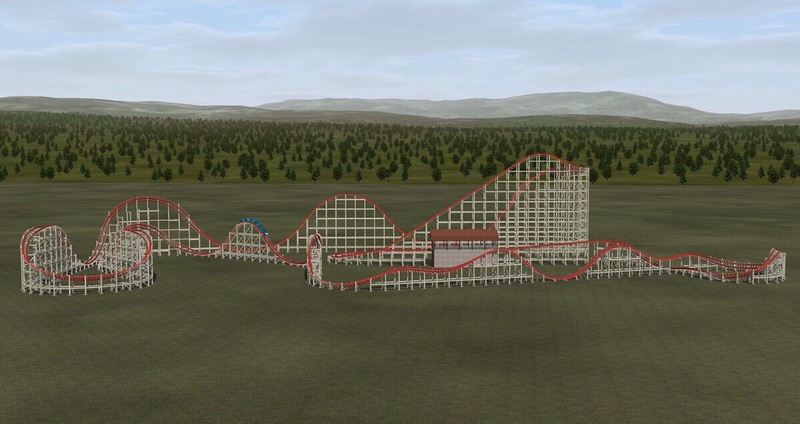 Kentucky Kingdom has just announced Storm Chaser, their Rocky Mountain Construction renovation of Twisted Twins for 2016. The ride will feature three inversions and will be a $15 million investment. Featuring two inversions, intense airtime, and more, Storm Chaser is an action-packed RMC roller coaster. However, because of the ride layout relative to the area’s usable space, the ride is a disappointment to many. Storm Chaser? I’m not a fan. Don’t get me wrong, the elements look great as usual – very intense and fun – but the layout as a whole is a no. It’s so basic! From a bird’s eye view, you could mistake it for a classic Arrow looper. RMC layouts are supposed to have substance – look at Medusa: Steel Coaster at Six Flags Mexico; it looks like a fantastic jumble of wood and steel. Even Goliath at Six Flags Great America looks daunting, thus reflecting its name. Storm Chaser’s layout in no way reflects its name. It should be either a compact mess of wood and steel like Medusa, or an out and back. Not only is the layout bad, but also unnecessary. 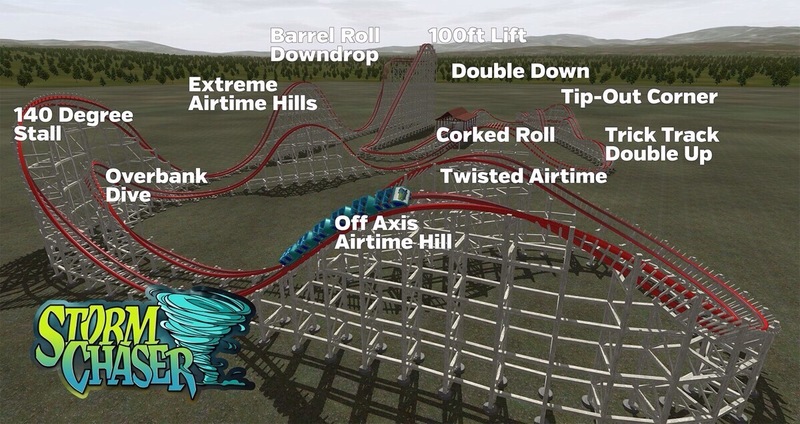 Kentucky Kingdom is also home to Lightning Run, a fantastic airtime machine, so why does it need another coaster full of airtime? Surely it could do with being primarily hang time and inversions. Aside from the opportunity with the layout, Storm Chaser is still a good ride. Due to open in 2016, the ride appears to be plentiful of airtime and still intense and thrilling. What do you think of Storm Chaser? Vote in the poll below and leave your feedback in the comments!